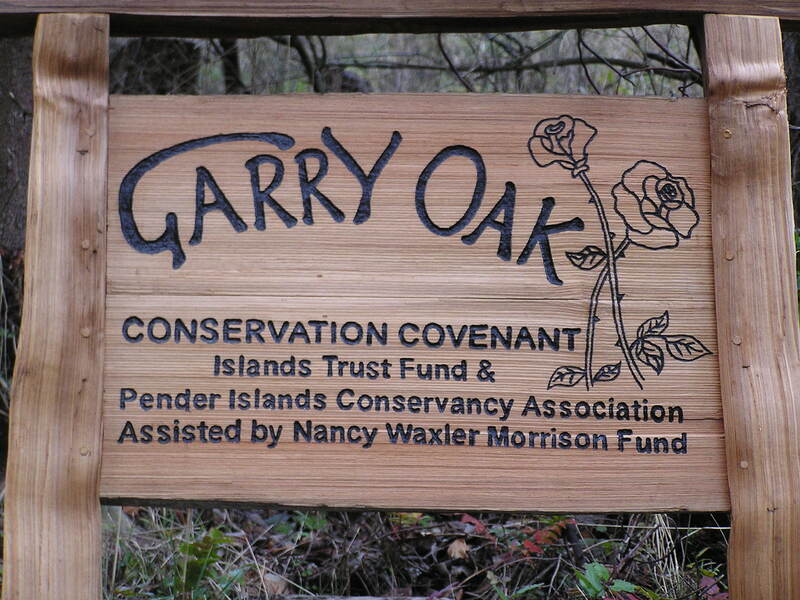 This is another wonderful project done with our local Conservancy, and the Nancy Waxler Morrison Fund. 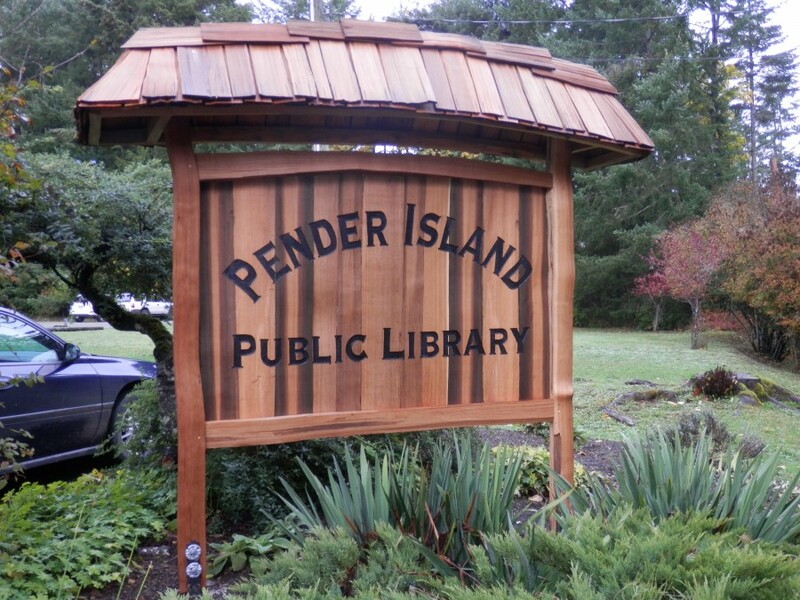 I have been making covenant signs here on Pender Island for 5 years now and each one is unique in its own way. 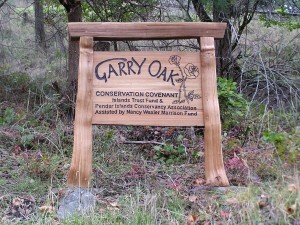 The Rose family have protected part of their property under a land covenant they called Garry Oak, after the trees and habitat that they are protecting. 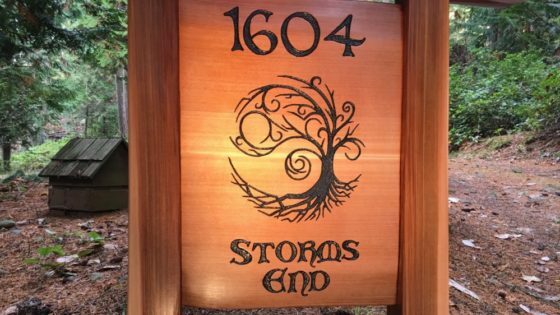 The sign is much similar in style to many of the other covenant signs I have done as it based on the Japanese torii gate design. Using reclaimed red cedar driftwood, I hand split all the pieces and use mortise and tenon joinery with pegs to hold it all together. The posts sit on local sandstones which I drilled holes through, and inserted rebar up into the posts, pushed it though the rock and down into the ground. This makes a nice looking and stable base, but means you could move the sign if you needed to. 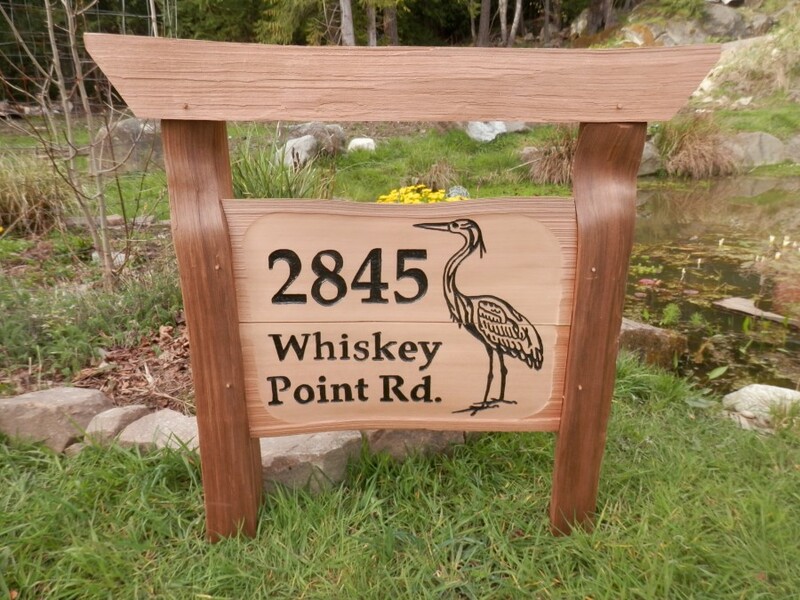 It is the lettering and any other design that also makes each sign unique. 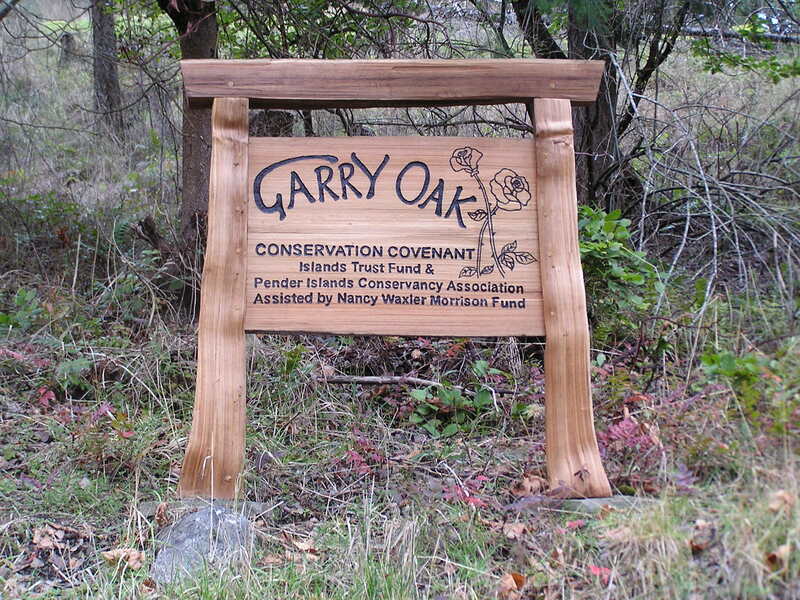 On this sign I made up the lettering for ‘Garry Oak’. The Rose family also asked me to include a drawing of roses to s ignify the family. 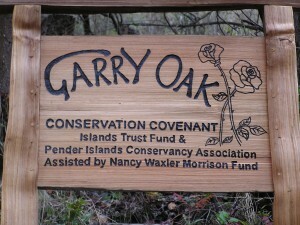 It will make people think as the title is Garry Oak, but the picture is of roses… not so confusing if you know the family. I am grateful to be involved even with such a small part of such a great project.